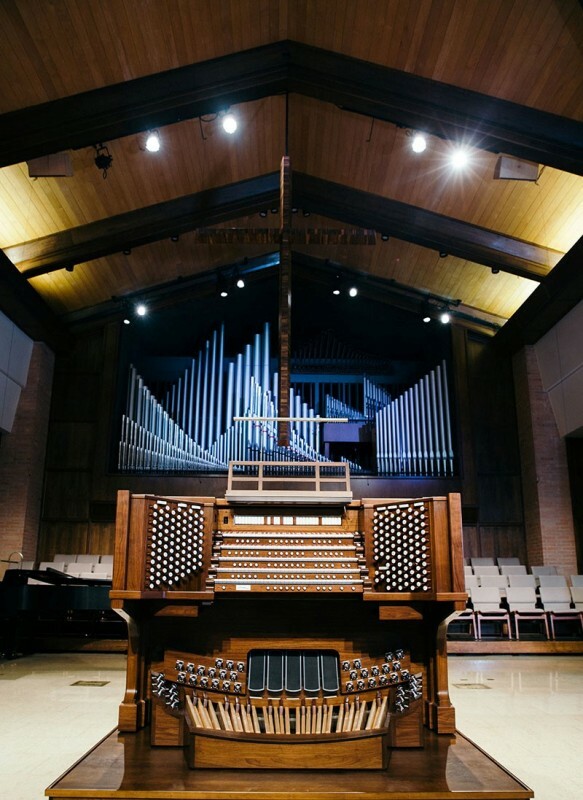 The Chapelwood United Methodist Church Chancel Choir, under the direction of organist and Music Director Cameron Cody, invite you to experience choral music from Diane Bish on Sunday, Sept. 23, 2018 at 4 p.m. The Chapelwood United Methodist Church Chancel Choir, under the direction of organist and Music Director Cameron Cody, invite you to experience choral music from Diane Bish on Sunday, Sept. 23, 2018 at 4 p.m. Mr. Cody will perform in place of Miss Bish, who on Thursday, Sept. 20, 2018, suffered a hand injury precluding her planned performance with Chapelwood. Mr. Cody will graciously step in on Miss Bish’s behalf to showcase the church’s installation of a new five-manual console organ with digital additions by the Allen Organ Company. The concert is provided free to the public, sponsored by Chapelwood UMC, Houston Organ Company, and Allen Organ Company.